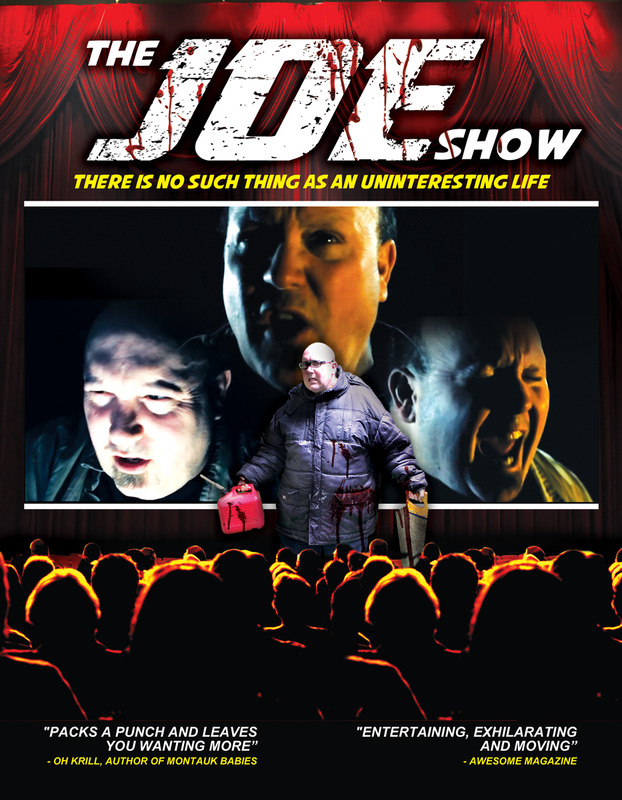 Movie Graveyard Reviews: The Joe Show! Every once and a while a film comes out that is so different than anything you have seen it's almost hard to classify. Not hipster art house different, no those I find are made to confuse to be hip and cool. I mean really different in tone and plot. I mean The Joe Show! Joe Show is about, you guessed it, a guy named Joe. He's an interesting guy. He's drives a cab for a living, or at least he used to. He lives alone, and from what I could tell has no really friends or family. In the evenings he goes to a poetry club where he reads the poetry he writes. It always focuses on his bizarre cab customers and how he flashes out of reality and at times becomes violent with them. Turns out he's actually unemployed. We witness him stealing a car to go on a job interview with a cab company. He also poses naked for money. Ohh yea and girls seem to be going missing. Did I mention he carry's around gasoline and a saw from time to time? Let me say right of this is a great film. Its different sure, but it comes across better than most psychological horror films that hit the mainstream do. This is a small budget production but that helps set the tone perfectly. The acting is great and the writing of the poetry Joe reads is spot on entertaining as well as chilling in its own right. Like I said in the beginning it's very different, but not in the sense that it is made to cater to a certain audience. This is a film that horror, drama, thriller, mystery, and psychological film fans will enjoy. I give this one a very high recommendation to say the least. Well worth watching.